"Operation Black Hills Cabin is a true jewel for Custer. The people in this area of the Hills do show just who they are. They are an amazing and patriotic group of people who have always been there for the military and now are showing the nation just how a community comes together to support and care for its heroes. I am proud to be a South Dakotan and with ambassadors such as these, those special men and women who fight for us and sacrifice so gratefully will always be remembered and they will always have their soldiers' backs." "As I reflect on one of the best weeks of my life, there is no doubt that the experiences were fantastic, but the people have made a lifelong impression on us. After 21 years of active duty, combat tours in Bosnia and Iraq, learning to live with the scars, the limitations, the tremors and the nightmares...I can honestly say this experience has filled my heart with fresh hope." "As a veteran, nothing is ever really expected, but coming here and receiving so many thanks and personal touches has been emotional and heart warming. Each time someone delivered something, thanked us, etc., we had to fight back tears. This respite has allowed us to recharge, reconnect and to focus on what is truly important." "We had lost sight of living and were simply existing. Now we will take this week with us in our hearts and continue to heal." "Before this week, my husband and I were not really talking. He was very depressed, because it's hard for him to be around a lot of people. Being out here away from electronics and loud noises and now knowing that there are still people who care and respect our military has brought our family closer together." "It's been humbling having so much given to us during our stay. We've made so many positive memories here. It's personally given me an opportunity to gain a new perspective by stepping away from home, which in turn will bring positive change in myself as well as my family. We are so grateful." "Every time we went into town or to events, we waited for ridicule, hostility or rudeness as we have experienced in the past, but it never came. We were made to feel like family, that it was their honor to have us here. It moved me to tears several times that you could treat strangers so well. Thank you for renewing our faith in America and that my husband's sacrifices were not in vain. Thank you for showing us that patriotism still exists." "The people at OBHC are terrific. The cabin that we stayed in and the area around it was so beautiful and calming. We would walk the spirit of healing trail every night and see deer feeding in the field next door. What a sight." "Having this time to reconnect and to be together as a couple without any doctor appointments or surgical procedures or any kind of family issue with our extended family has meant more than I can ever express. So often it seems that we forget that it's the little things that matter, that are important, like being together on a day-to-day basis, enjoying the companionship that is a part of any relationship without allowing the drama of everyday life to impact us negatively, or make us forget that what truly matters is each other." "We had an unbelievably amazing week and everyone's kindness has been far above and beyond anything we could have ever imagined. Our family has enjoyed this time together immensely. These shared experiences have brought us closer together and given us something that we will reminisce about for years to come." home: relaxed and having fun!! THAT is priceless!" Operation Black Hills Cabin is doing. It was truly touching to see so many ordinary people give what they could to show a wounded veteran some appreciation and support. " Sincerely, Joseph Metzger, Natalie Millis, and Ruud (service dog). "Where does one begin? All we can say is "Thank You" and even that seems so inadequate - our time together, here in the beautiful Black Hills, brought us closer, and allowed for a real "vacation" since his injury. This whole trip will always be remembered. The local businesses are so friendly, gracious, and willing to support this wonderful, wonderful organization. It was so hard to pick a favorite - it was all magical!" "Our vacation was wonderful! We had some VERY memorable moments, and met some amazing people! This was a blast, and the kids had a great time! We appreciate this opportunity! We had such a great time - everyone was so kind, service was exceptional and the cabin was amazing. We've had a tough time the last few months, and this was such a dream come true." 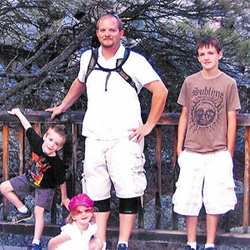 "...When my husband was diagnosed with an anoxic brain injury, he was given a 5-7% survival rate.... Thank you for giving us a small break from the daily grind of therapy and appointments. Thank you for giving my husband the opportunity to not simply get through the day, but to enjoy it. Thank you for letting our children bring the pages of their history books to life and experience several days of pure joy. We hope the happiness we found on this trip reflects back on all of you, allowing you to clearly see the good in what you are going for the military community. My husband is the last person who will recognize his own accomplishments, but the first to tell Operation Black Hills Cabin and all the amazing contributors to our trip that they have made a difference in our lives. We look forward to seeing all the amazing things that are yet to come!" "It is difficult for us to express how grateful we are to your community for allowing us to be part of Operation Black Hills Cabin. The kindness and support we received during our stay was truly overwhelming. The cabin itself was terrific; cozy and inviting with plenty of room and all the comfort of home! Every little detail has been thought of and we really enjoyed hearing about all the different people and places that have donated items to make it such a wonderful retreat! But the high point of our OBHC experience wasn't the cabin, or the attractions. or even the food. It was the people. Every place that we went, every person we met was kind, generous, supportive and compassionate. Every member of your community should be incredibly proud of the work that has gone into making this experience happen. Thank you for giving our family so many happy memories to cherish!" stepping forward for veterans when others step back." a person could live a lifetime just walking these lands and it would not be a wasted life." 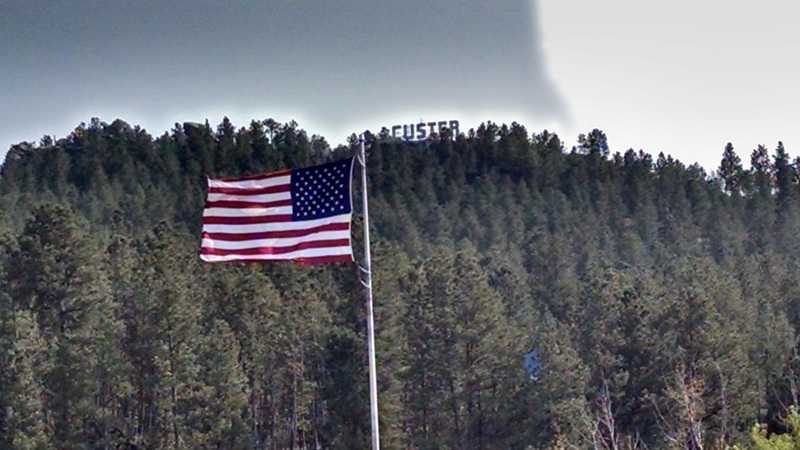 "Custer is truly a gold mine of America's truest patriotic people. This opportunity came at a time in my life where I needed to be reminded of the good in this world. Everyone involved with this operation is a blessing. Thank you for making us feel special!" "OBHC is a once-in-a-lifetime experience. I was very emotional the entire trip thinking about how such a small community can come together to honor each family. I rarely see my husband smile or laugh anymore...but during this trip he actually was smiling for the majority of the trip. That in itself is a memory that my children and I will have for many years to come. Thank you for everything." 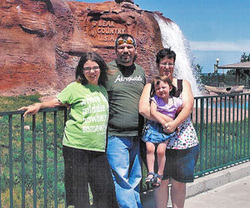 " My mother and I benefited from participating in your program. I have been back from Afghanistan 4 years and the daily struggles are not as intense. I learned that an entire town of strangers cared for my mother and I. I feel warmth in my heart from all of you caring for us. Thank you so much for this life changing opportunity. My mom has blood cancer which is controlled with a blood draw and increasing her platelets. I created photo books and she shares them with her senior friends." "Our oldest son Benjamin, age 10, said, "Mom since we have been in South Dakota, everywhere we go everyone is so nice to us. It's like they know us. And it makes me feel loved!" 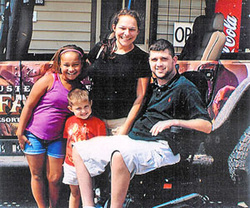 " This respite has impacted our family in many ways. We love you and we will miss this amazing community." "The trip has given us a chance to almost forget everything else that goes on in our busy lives and focus on what most don't get to do -- spend time with each other. This trip has breathed new life into our entire family. We have never been so proud of our fellow veterans and South Dakota. In the world we live today, it is a breath of fresh air to see such an outstanding community. Thank you all."